First off, thanks so much for having me. I’m almost 32 and an elementary special education teacher in Portland, Oregon. I work with children who have experienced trauma and are in treatment, which means my job includes much more than academics. My classroom has anywhere from 7-10 students ranging in age from 6 to 10. I have a wide range of grades and abilities at any given time that I must juggle, but overall my students tend to have a lot of success while with me. Aside from teaching, I started a blog last March, and am hoping to spread financial education through my blog work. 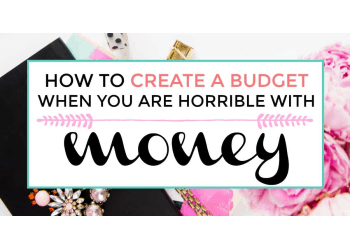 I’ve always been a frugal person and a saver, and I’m hoping to help teach others how to be with the help of my co-blogger. This is my 6th year teaching and my 10th overall working at the facility I teach at. I worked on the treatment side of things for 4 years before I became a teacher. 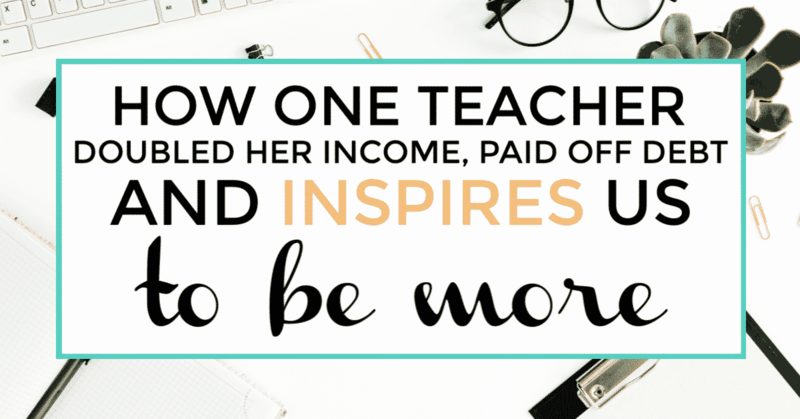 How were you able to double your teacher income? All districts offer a salary schedule, which determines your pay based on your years of experience and education level. For my district, we receive an automatic step raise every year until year 13. On the continuing education side, you start at a Bachelor’s + 0, and can receive a raise for every 15 graduate credits you earn up to Master’s + 45. I started out at the Bachelor’s + 0 level for a salary of about $35,800, but I finished my Master’s during my first year which gave me a 10k bump in pay for my second year. Since then, I’ve worked diligently to move up the pay scale by taking continuing education courses until I finally was able to cap out at Master’s + 45 last spring. Moving up the education side of the pay scale, along with some overall pay increases with contract negotiations, allowed me to reach a salary of $67,747 this year, which is almost double what I was making my first year. In essence, through my efforts at continuing education I’ve been able to increase my salary by almost 32k in less than 6 years. What were some hurdles you had to overcome in the journey of doubling your teacher income? There are many great benefits to teaching that most don’t know about, one of which being tuition reimbursement. I don’t know how it is with all districts, but mine will reimburse you up to 6 credits a year for continuing education, which we need anyway to keep our license. I took advantage of the tuition reimbursement perk every year up until this year (because I’ve already maxed out on credits). However, I completed courses at an accelerated pace, which meant I wasn’t always reimbursed. In fact, I’ve done 45 credits of coursework in the last 4 years, which meant I was only reimbursed for 24 of those credits. The other 21 I ended up paying for out of pocket and writing those costs off in my taxes. Another challenge was the fact that I had to pay for all my coursework up front and wait for the reimbursement several months later (after completing the course). 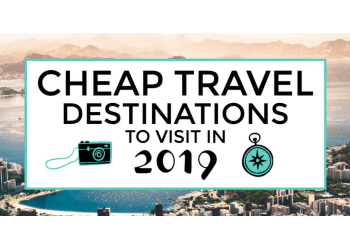 While I was able to fund my coursework up front, and continuing education courses are offered at a reduced rate, I know many people would struggle to cover these costs and there were times I felt the pinch. Of course, another challenge was taking so much coursework while working full-time. However, this isn’t as big of a challenge as it sounds because continuing education courses are made especially for busy working teachers, and thus I didn’t find them to be that challenging. What advice do you have for fellow teachers struggling to do the same thing? Honestly, I think the biggest barriers for other teachers are being willing to put the time into doing coursework and the upfront expense of the courses. Many of my teacher friends have stated that they need a break from school despite the fact that they could earn much more money for the same job. While the upfront costs can be a barrier, I encourage people to take as many courses as quickly as they can to move up in pay as quickly as they can. Even at just 6 credits a year (what my district will reimburse you for), you would end up making about 80k more in your first 13 years for doing the same job. I wrote about taking advantage of your teacher contract benefits, including continuing education and pay increases, in this article if you want to see more specifics. Tell us a little about your site, Money Saved is Money Earned. 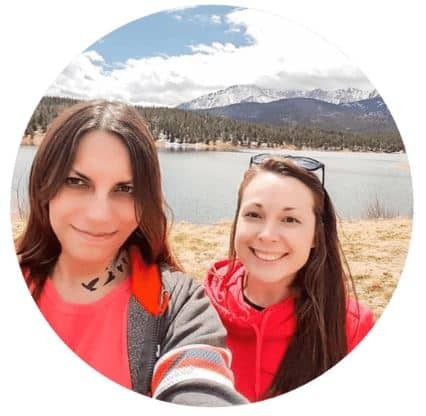 My co-blogger and I started Money Saved is Money Earned last March to help provide financial education and coaching to everyday people. So many people are taken advantage of in our world of consumerism because they don’t know any better, and so we’re trying to pick up where our educational system has failed. Thus, our goal is to teach people of all ages how financial systems work, and how to take advantage of these systems to save big money. However, we’re not just about the x’s and o’s of finances. Another goal of our blog is to teach you how marketers and financial institutions use psychology to trick you into making purchases that are ill-advised. We also wish to impart knowledge about the role of the brain and habit-forming on how you conduct your finances. Once you understand how you’ve been conditioned by your background, marketing, and social media, you can begin to combat bad financial habits. We call this idea shifting your mindset from consumerism to frugalism, and it plays a key role in what we teach in our articles. You can read more on our About Us page and in Our Mission statement. I read a bit on your site how you are debt free, can you share some tips with others who are striving for the same thing? I am almost debt free. I do have a mortgage and a small amount left on an auto loan that I will be paying off in the next month. However, other than that I am debt free. If debt-free is your goal, I would recommend making a plan for paying off your debt and dedicating as much money as you can to it. For me, I was able to pay off my student loans and save for a down payment for a house by putting extra money toward my loans and working extra jobs. In fact, I worked a main job and 3 part-time jobs at the same time at one point. If you have several types of debt, I would make a plan for paying it off by starting with the highest interest rate debt. For most, the highest interest rate would be credit cards, followed by student loans. You can significantly reduce the interest you pay, and time you’ll be paying, by making extra principal only payments every month. I would also take care of small balance debts quickly, such as auto loans and personal loans (depending on the size). Once you’ve paid down high interest debt and small loan balances, you’ll need to decide whether you want to spend time paying down other types of debt or invest. Many advocate for investing over paying down a mortgage because the interest rate for investing is higher (the return) than that on a mortgage (the debt), so you’ll come out ahead by investing. No matter what you do, the main obstacle to paying off debt is buying more things. I would encourage people to be satisfied with what they have, not buy new items unless needed, and to look to save money wherever you can. 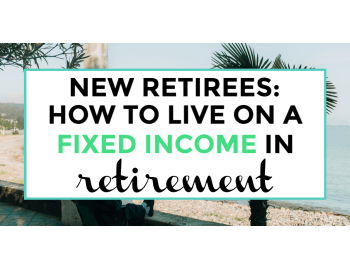 If you reduce your expenses and dedicate more of your income to debt you’ll pay it off significantly faster and save a bunch on interest in the process. 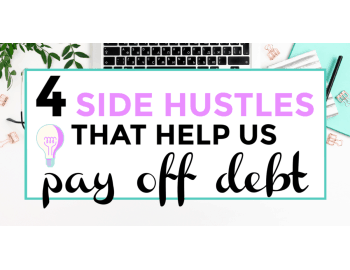 I know you worked several part time jobs and a lot of side hustles to become debt free. 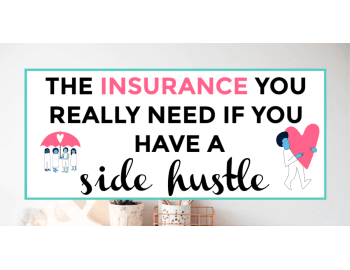 What is the worst part time job or side hustle you ever had to work? I didn’t have any horrible part-time jobs in terms of what I was doing, but I did have several where I wasn’t getting the biggest bang for my time buck. I had a couple jobs that paid minimum wage so I would have had to work a lot of extra hours to make any real money. I also had some jobs that paid okay but I only had a few hours a week, so again I didn’t have an opportunity to make any real money. 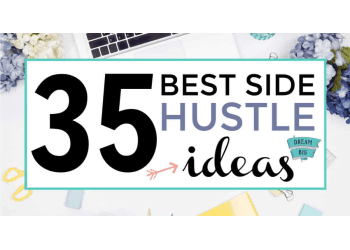 My advice for those looking to start a side hustle would be to pick something that gives you maximum earning potential for your time. What is the number 1 thing that helped you most in becoming debt free? The number 1 thing was my mindset. I am frugal by nature, and looked to cut costs wherever I could. While I’ve made several sacrifices to save money (moving in with my parents, limiting my going out, etc. ), I also am satisfied with what I have and try to get maximum value out of my items. For instance, I was given a car by my parents many years ago that currently has 270k miles on it. It still drives so I’m going to keep driving it. I also have an iPhone 5 that is 6 years old but I keep it because it keeps working. As long as something works I keep it, and when I do purchase something I look to get maximum value for the money. What is the number 1 thing you are doing for the future of your finances? The main thing I’m doing for the future of my finances is maxing out my investments. As a teacher I have a pension plan that I pay 6% of my salary into automatically (it isn’t optional), but I also recently started a 403(b) supplementary retirement account and contribute $200 a month. I also recently started a Roth IRA and plan to max it out this year. In addition to those, I have a brokerage account and plan to contribute as much as I can to that every month. I’m focused on the tax-advantaged (pension, IRA, and 403(b)) accounts first, but I’ve shifted my focus to investing as much as possible in the last year. What is the worst decision you have ever made with your money? I wouldn’t say I’ve really made any horrible decisions with my money, but the main thing I regret is that I didn’t start investing earlier. Although I’m frugal and good with money, I knew nothing about investing until recently and I’m a little behind at 31. If I had started when I was 18 I would have significantly more saved at this point. While you can start saving for retirement/investing at any time, the longer you contribute the more it grows. What is the best decision you have ever made with your money? It’s hard to point to a specific time, but if I had to choose I would say saving money as I was growing up was the best decision I have made. My grandpa used to put his spare change on his dresser for me every day. After 10 or so years that spare change (with some other contributions) ended up being close to $5,000. I used that money to pay for my first term of graduate school so I could remain debt free (I had no debt at the time). 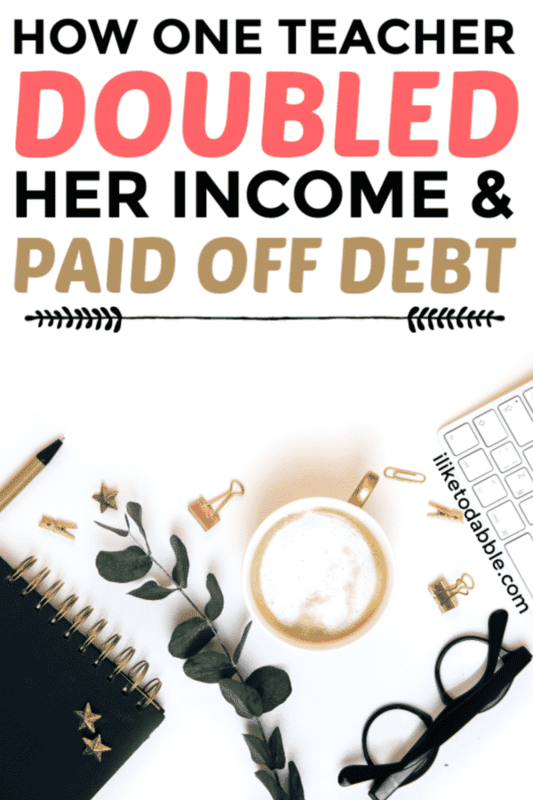 Although it was physically painful for me to spend that money, remaining debt free was what enabled me to buy my house and do the things I’ve been able to do since. What is 1 piece of advice you have for my readers in their own financial journeys and careers? My advice would be to learn as much as you can about money and ways to maximize it. Although you don’t want to start living for money, the more you know the more you’ll be able to have money work for you so that you can do the things you want to do. Start saving and investing now, limit your debt, and do as much as you can to increase your skills and maximize your income. I worked really hard when I was younger to accomplish my goals while most my age were traveling and partying. I’m nowhere near done with my financial journey, but I’m pretty well set for my life and I’m only 31. Thank you so much for sharing with us your story! Any parting thoughts? The last thing I want to say to your readers is to do everything they can to improve themselves and their situation. I think many people give up or think it isn’t worth it because they don’t think they can become “rich.” I want people to know it’s not about becoming rich, it’s about becoming better than you were. It’s a hard fact of life that some people are born with a head start and advantages, but that doesn’t mean you can’t strive to be better. Focus on becoming better than you were, not becoming better than others.